I hope most of them change their names. Especially Holly! I can see a Holly Fur or Holly Frost. I think Slate would be hard… Slate Heart? But I REALLY want a Birch Shade. Kate, what book are you currently writing right now? Vision of Shadows #2 or #3? 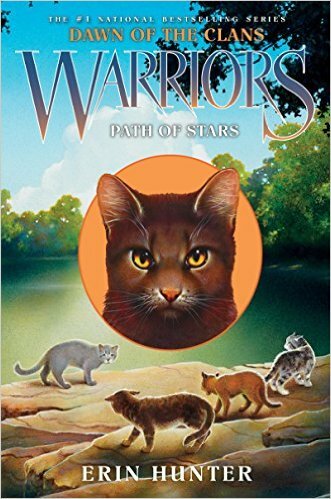 Oooh do Sparkpaw and Alderpaw have their warrior names yet? And if they do, care to share them…? I see Holly as Holly Frost or Holly Pelt or Holly Pelt. And I see Slate as Slate Pelt. Blossom as Blossom Petal, Dew as Dew Fur, Birch Shade as Birch, Alder as Alder Petal, and Night as Night Flower. Milkweed might stay the same, Leaf as Leaf Feather and Clover as Clover Leaf. Thistle as Thistle Tail. Thorn as Thorn Claw. I hope some come true. you know, a lot of people have focused on the major characters on dawn of the clans, which is understandable, but do you know who really stand out to me? the minor characters. they add quite a bit to the story, and due to their lack of development, it’s fun to come up with ideas for them. however one minor [ish] character [besides hawk swoop, ahahaha!] that i have became attached to is fern. fern’s story is very much tragic; orphaned at a young age, turns to an older cat for protect, only to be abused by him, and then her sister dies as well as her being beat up /twice/. she is a darling because she /WANTS/ to be free, she doesn’t want to do what slash orders her to. her story of abuse is very relatable , especially to me [i don’t have exactly the best family life… best not to ask on it!] so it’s easy to connect to for those who know what she’s been through. and how it was handled, fern’s situation? admittedly, i felt a bit… Weird when grey wing was wondering why she haven’t left him. like. grey wing. slash is a powerful cat, and fern is greatly frail at the moment. if she left, he’d do as he would say; /he’d KILL her/. she’d have no chance. plus she’s only there for her sister, too. gee, gray wing, maybe if you managed to understand more about her situation, maybe you’d get why she wouldn’t want to leave. however i appreciate how she ended up being trustworthy after all. she tries so hard, the poor dear. how grey wing treats her after the first encounter sure is better than how he reacted to bumble’s case – he must’ve learned, ahaha! thank goodness she got into a clan – although honestly i would’ve put her in shadowclan because she has the appropriate pelt colour + stealth is needed. if i named her i’d name her fern claw. Fern is one of the characters that interested me the most as well, aside from River Ripple and Grey Wing. Wait then why was Wind Runner so untrusting? Wouldn’t she recognize them?